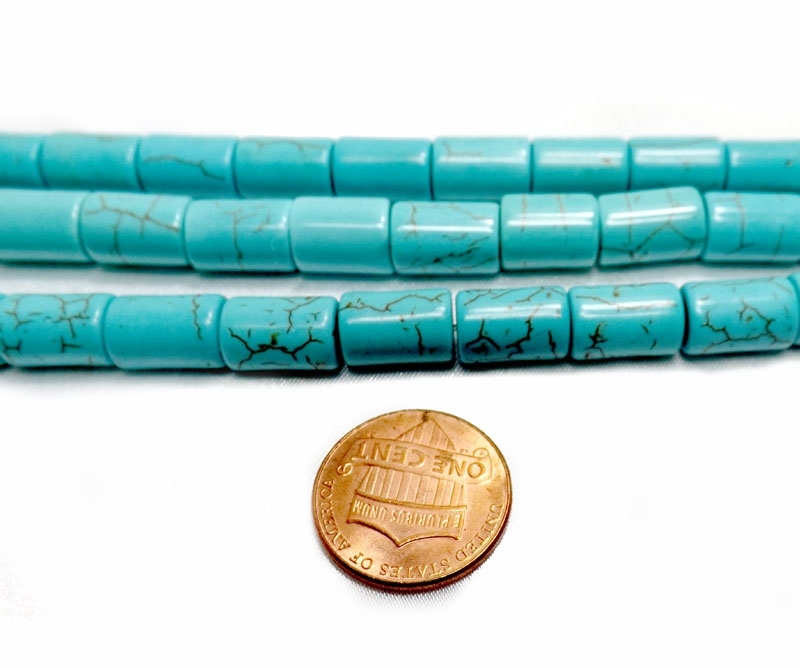 These are 8x12mm reconstituted blue turquoise beads on a temporary string approximately 16 inch long in length. 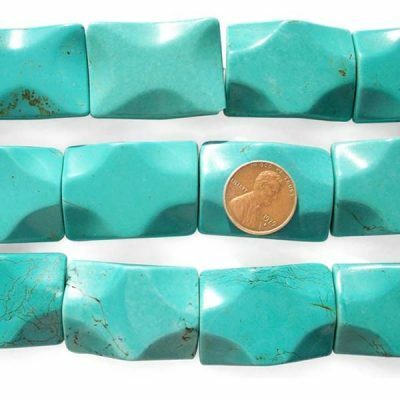 Each strand has an approximate weight of 105 grams. 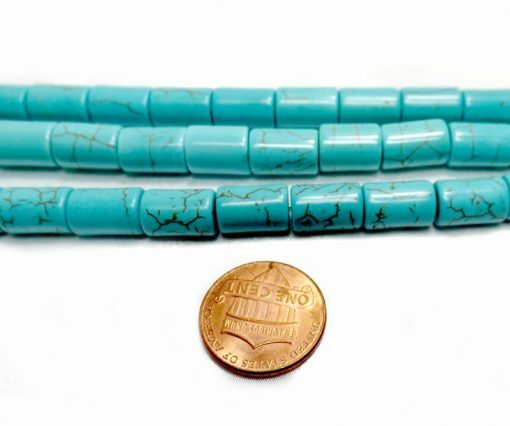 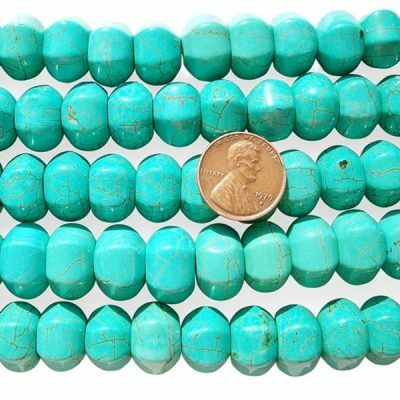 Please note these turquoise beads are reconstituted so there may be slight variations in color and natural markings. 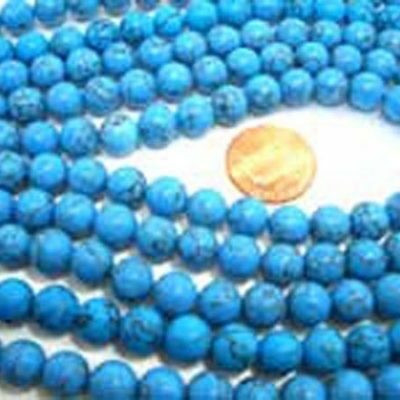 The picture is taken with a penny to give you a sense of size.